How do you share your videos after production wraps? 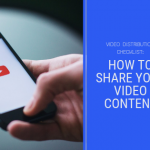 Use this easy video distribution checklist to make sure your video messages reach your target audience and go viral now. How does the video distribution process work when it finally comes time to share your videos with the world? After the hard work of creating, filming, and going through post-production, video distribution is how you’ll share your videos with your target audience. So let’s begin with the easy stuff before we get into the finer points of video sharing. Video marketing will account for 80% of all internet traffic by 2019[*]. So once you create your message, your first step is finding a home for it online. Your new video file needs to live somewhere online for your viewers to see. You can either host your video on your website by uploading it to the backend of your platform or choose a video hosting platform like YouTube to host your video for you. YouTube is owned by Google so their search algorithms favor videos hosted here (as long as they’re relevant to searches), and it is the second largest search engine (next to Google). Plus, YouTube gives you tools to track your video’s performance and engagement. But YouTube in and of itself is not a complete video marketing strategy. While we certainly like the idea of posting a video to YouTube, optimizing it, and potentially having it rank based on your keywords, it doesn’t mean you’re done. 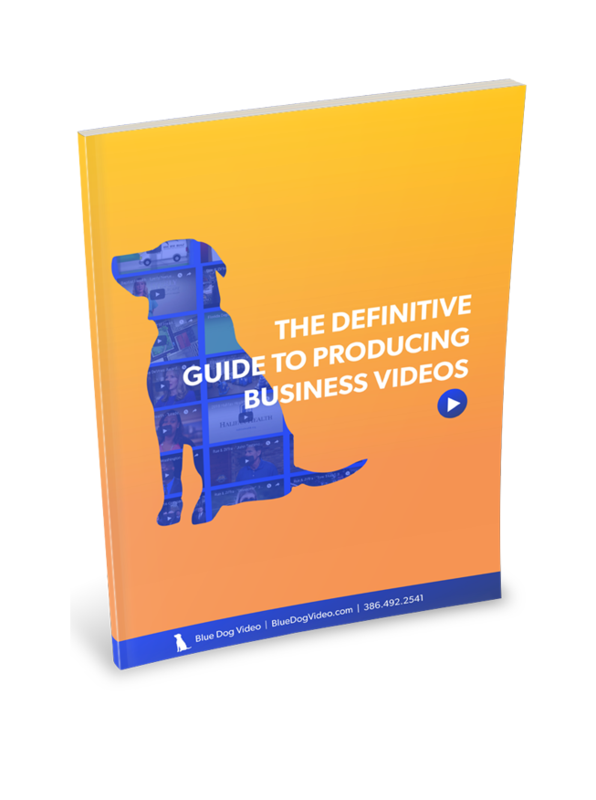 It is one of the most highly recommended places to host a video, but so much more can be done to get more eyeballs on your videos, and your business’ offerings. So before publicizing the link to your video, you may want to test your video out in-house first. Forbes Insights says 54% of senior executives share work-related videos with colleagues at least once a week[*]. 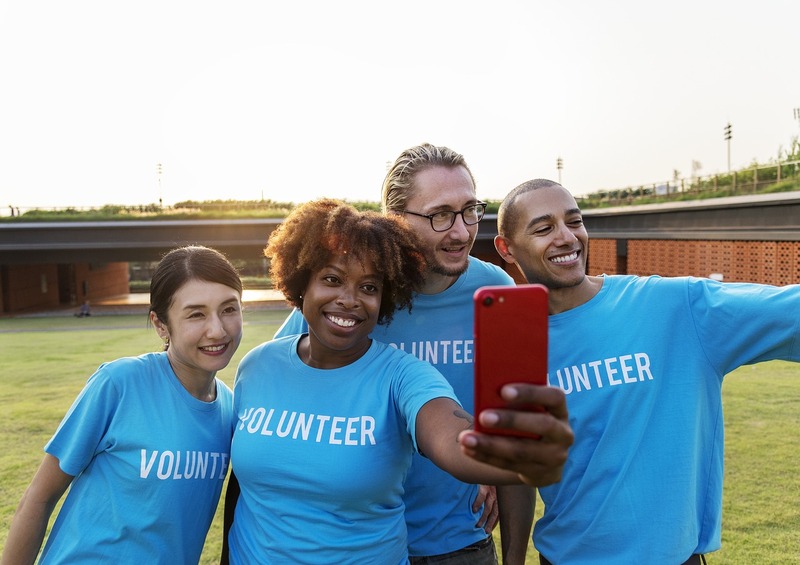 So you could have your team create corporate memos for new training videos or press releases for new TV commercials to share with employees, their networks, and other members of your local community. You may also want to try sharing company overviews, office tours, and product demos at live presentations and networking events. Or loop your videos in entrances, lobbies, and waiting rooms with captive audiences desperate for distracting content. Just make sure everyone knows how to find these videos on your website. Videos keep visitors on your site longer, which also has a positive influence on your click through rates and conversions. Since Google and other search engines like websites with low bounce rates, a video on your landing page has a 53% higher chance of showing up on the first page of a search engine results page (SERP)[*]. You’ll also want to share your videos with your email subscribers. Just using the word “video” in an email subject line boosts open rates by 19%[*]. And adding videos to your emails can increase click rates by 300%[*]. With stats like these, you’d be crazy not to share your videos via email. You and your team members can even include a link to your videos in your email signatures and switch it up with a new call to action each time you release a new video. Your emails should also point to finding more info (and videos) on your website’s blog. Every website needs an active blog with content users engage with and share. This traffic also helps your website rank higher in SERPs. Instead of boring your followers with text posts all the time, add a few educational videos, explainer videos, how-to’s, and more to your mix. Accompany each video with a short write up using specific keywords to help index your site with search engines -- and don’t forget to add share buttons so your visitors can post your content on their social media accounts for their followers. Social media is where you want your video to thrive so let’s dive into that can of likes and comments next. As your professional video will most likely be longer than those shot solely for social media, you’ll need to trim yours down to each platform’s ideal length. This is why you’ll want to create a short teaser video with a link to the full one on your website. This will not only drive interested traffic to your website (where they’ll hopefully convert), your website also has fewer distractions competing with your message so visitors will stay on point. Upload a professional video up to 1 minute long, or share just a 30-second teaser clip to entice viewers to watch the full version on your website. Add 15-second video clips to your Instagram Stories to share daily peeks into your company’s candid life, new product releases, or behind-the-scenes footage/deleted scenes from your videos. Try Instagram LIVE when you want to share videos at networking events, ribbon-cutting ceremonies, company retreats, etc. to include those who can’t be there in person. Twitter may be known for posts with strict character limits, but you can share videos up to 2 minutes and 20 seconds long too. As 82% of Twitter users watch video content, this is a rich source of viewers to tap into no matter what you’re sharing[*]. You can upload, share, or embed all your videos and even host regularly scheduled or pop-up Facebook LIVE broadcasts for special event coverage. Just keep in mind that 85% of Facebook videos are watched without sound so maybe don’t blow your budget on a catchy jingle[*]. Along those lines, consider utilizing captions on your videos to increase the view time. Facebook has reported that adding captions to your videos actually increases the average view time by 12 percent. Wondering how to add captions to your Facebook videos or other social media videos? Check out this resource on some easy ways to caption your social media videos. Don’t forget SlideShare is a great place to share your videos with B2B audiences since you can embed YouTube videos right into your deck. And you’ll also want to keep these next tips for success in mind too. Identifying these early on will make your video distribution much easier and laser-focused. Pay attention to your video thumbnail as this is the first snippet of your video content viewers will see. Your image must be inviting and highly clickable. Use a strong CTA. Videos need compelling calls to action so viewers know what you want them to do after they watch. Use well-researched keywords in your title, tags, and descriptions to market your videos and increase the views from organic searches. Did you know 43% of marketers admit they’d create more video content if they didn’t have to worry about obstacles like time, resources, or budget[*]? When you find the right video production company with experience handling the type of videos you want to create -- and has a portfolio to prove it -- these obstacles all but disappear. And that means you’ll be able to reach more people with your videos and earn more business too. Our experts at Blue Dog Video will review your goals and help maximize your outreach. 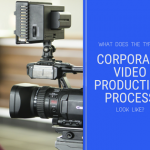 What Does the Typical Corporate Video Production Process Look Like?